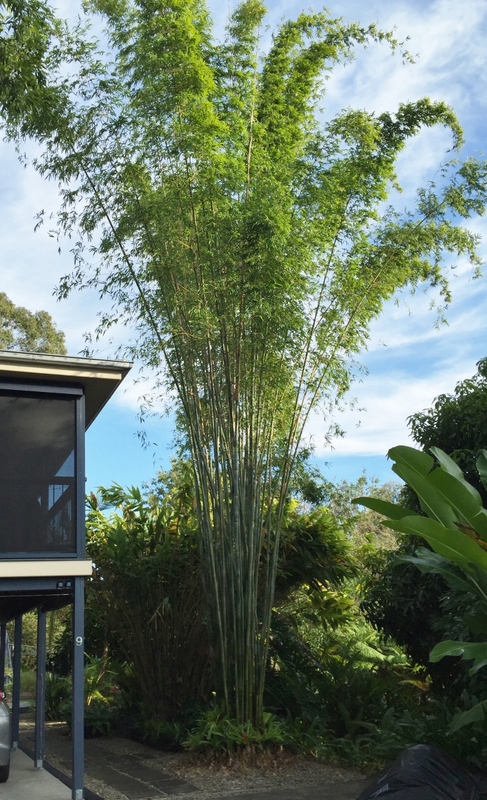 Even the best behaved bamboo can get a bit out of control if you turn your back on it. 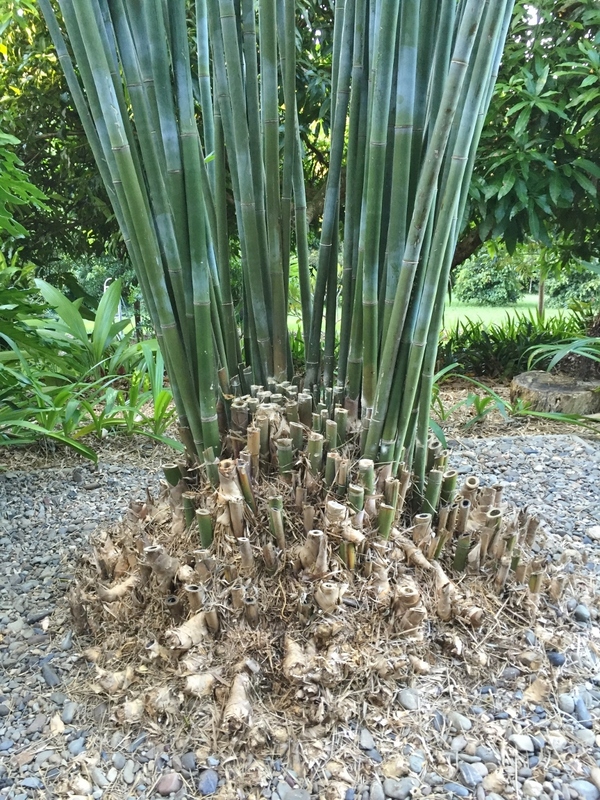 Unfortunately I forgot to take a “before” photo, so when I say that this is a Slender Weaver’s Bamboo after I cut down 56 monstrous canes ( yes, I counted) you’ll get an idea of just how enthusiastically it was growing. More than 3 stories high! Most of them were pruned with my trusty Fiskars loppers (the Finns certainly know how to make strong, quality cutting tools) but some of the internal canes were so compacted that I had to attack them with an electric grinder! This left the base looking somewhat unattractive. All I had to do was chop some bromeliads out of an overgrown clump and rescue a rather dejected looking Buddha from under a tree, and voila, no more ugly stumps. There are times when we are glad we don’t garden in such a fertile environment! Coaxing beans out of the soil, millimetre by millimetre, is our current task. It all looks lovely- it must have been pretty jungle-like before you dealt with the 56 canes. Yes, jungle like and it made the veranda quite dark, so the effort was worth it. Good luck with the beans. Love your makeover! Although you know you just make us envious that you have such lush growth! It’s lovely, but I’m having to water at the moment to keep it lush. No rain for several weeks!